Not the American late-night comedy program, of course. Rather, the Société des Naturalistes Luxembourgeois (abbreviated as SNL), which was founded in 1890 and is celebrating its 125th anniversary this year. 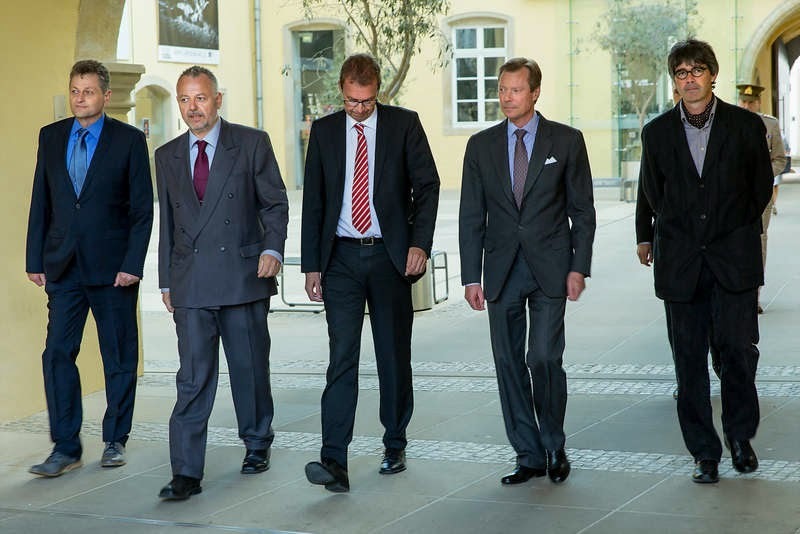 On Thursday, Grand Duke Henri attended an academic session at Abbaye de Neimënster to honor the society's focus on cultivating the study of natural sciences and encouraging the sustainability of natural heritage. 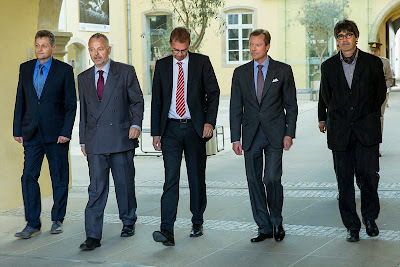 Grand Duke Henri was accompanied by Camille Gira, the Secretary of State for Sustainable Development and Infrastructure. After the academic session, the Grand Duke visited the Musée national d'histoire naturelle Luxembourg for a reception and received the honorary book published on the occasion of the society's 125th anniversary. A little more information, and another photo, at the Cour website.